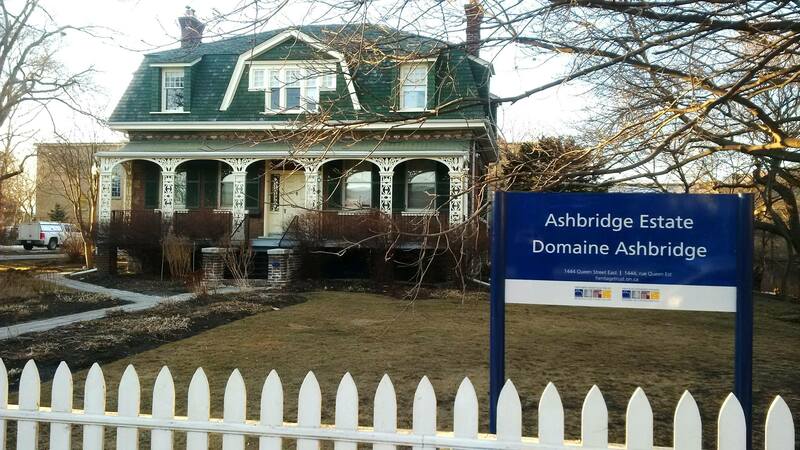 If you live within a few blocks of the Ashbridge Estate, this new Facebook group is for you: Ashbridge’s Neighbourhood, Greenwood-Coxwell. New sign sprouted at Ashbridge Estate, March 2015. This entry was posted in Uncategorized on March 25, 2015 by The Ashbridge's neighbourhood. Today is the last day for the Greenwood Park ice trail – the last chance to lace up your skates. Cold outside so the ice should be nice. 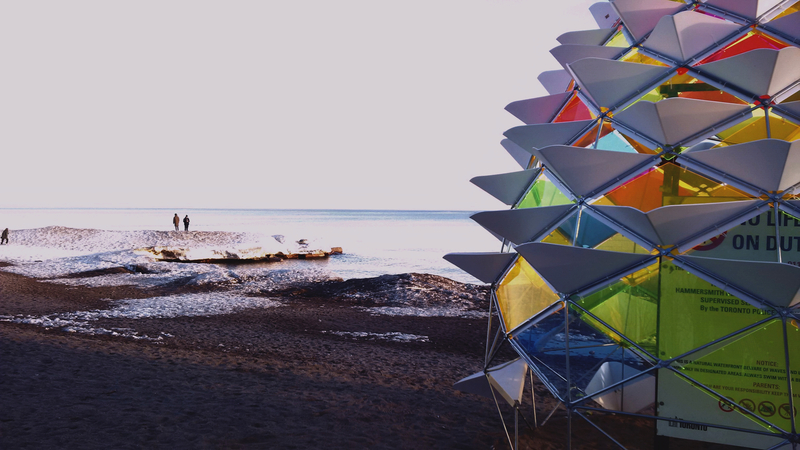 Also, friends reported the Winter Stations show is still on today March 22. Here’s a photo I took a couple of weeks ago. See the winning designs from the international design competition for this great show. And here are photos of all the winter stations in Azure magazine. Stay warm. It’s spring… Soon it will be spring. This entry was posted in Beach / Beaches, Greenwood Park on March 22, 2015 by The Ashbridge's neighbourhood. Update March 19, 2015 – This is now the most-viewed post ever on this blog – 1,060 views in its first 24 hours! Clearly there is a lot of interest in this store. 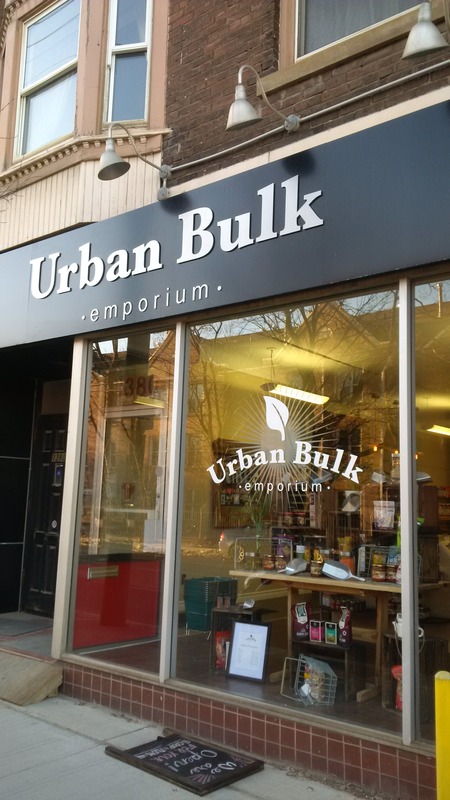 Stopped into our new local store today – Urban Bulk Emporium. Owners Cory (in photo) and Aziza live in the neighbourhood and have put a ton of sweat equity into the former Film Buff location (R.I.P.) at 1380 Queen East. A few doors east of Greenwood Avenue. I strongly suggest you check it out! A lot of good food on offer. Their Facebook page. 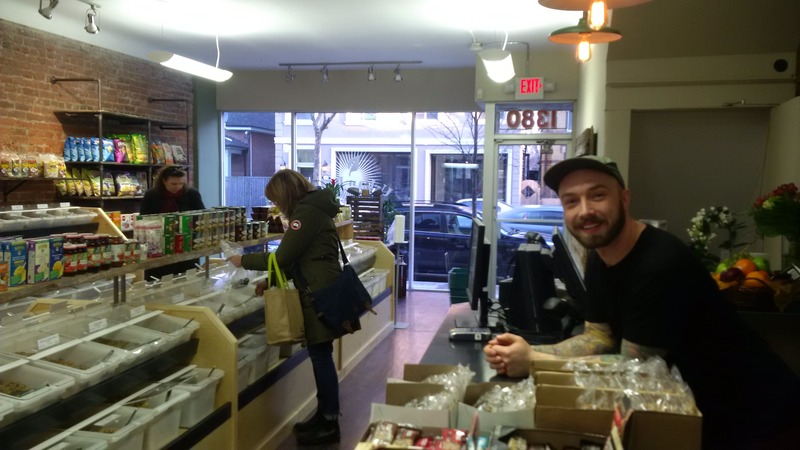 This entry was posted in Ashbridge's neighbourhood businesses, Queen Street on March 18, 2015 by The Ashbridge's neighbourhood.